Plantool Hirecentres Ltd. is digging to China! Well, that isn’t strictly true, but you would think that given the amount of new Diggers we have for hire. 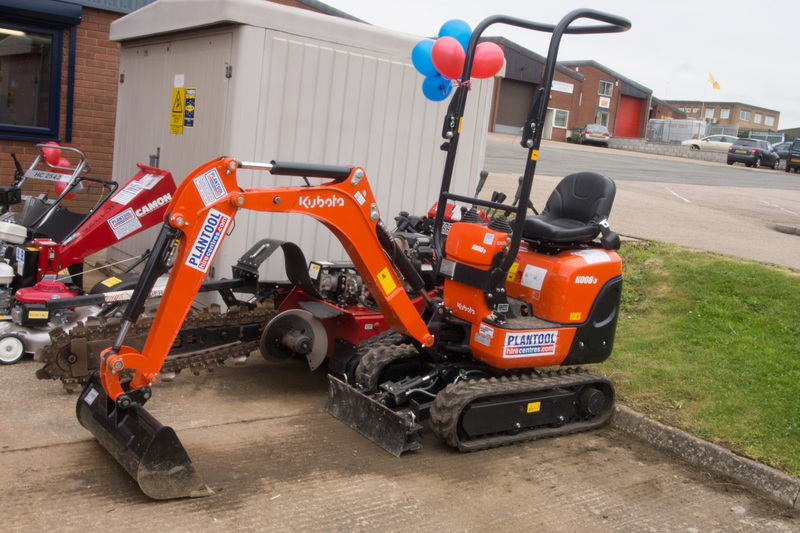 Plantool Ltd. is moving onwards and upwards in the world of hire centres. Due to a high demand of Diggers from our customers, we have now invested more than £150,000 to expand our range. This means that we now have many more Micro Diggers and Regular Diggers to hire out to the public. Diggers are ideal for personal use, perfect for anyone looking to shift small and large piles of rubble, clear out large areas of terrain, dig a trench/excavate a hole or help with general building work. Commercially, the same can be achieved but on a much larger scale. Our Diggers are ready to go, so if you are looking for a reliable hire company with a good range of hire equipment, you have come to the right place!